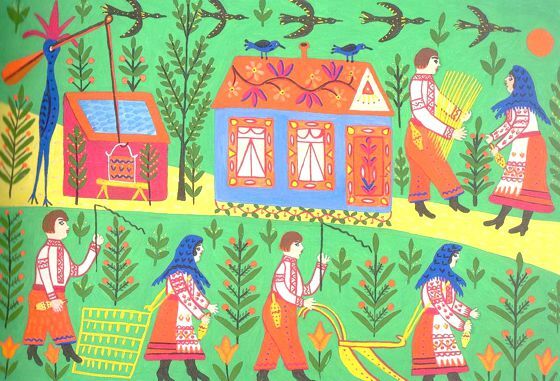 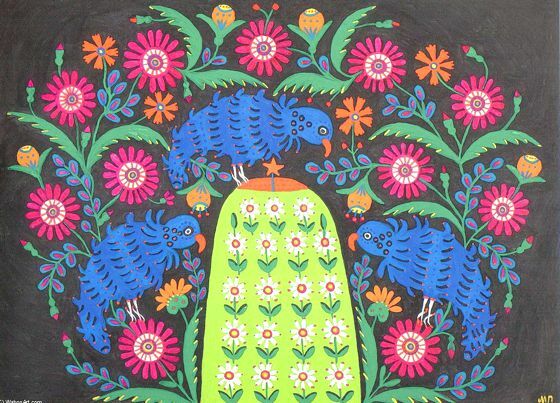 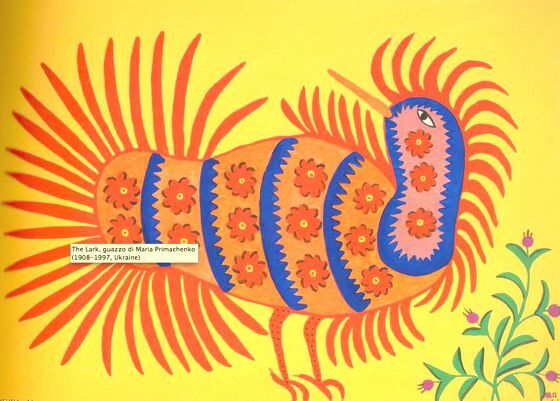 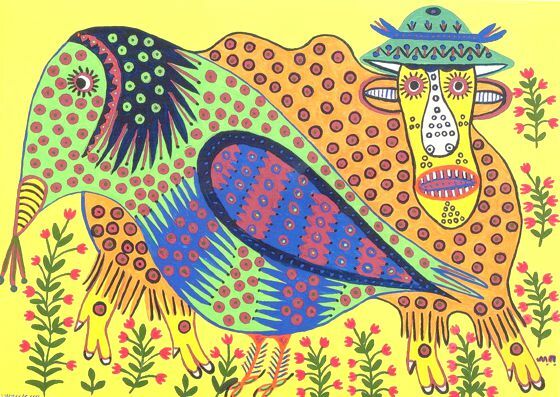 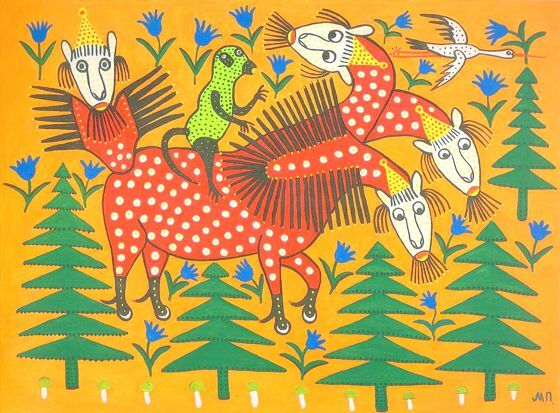 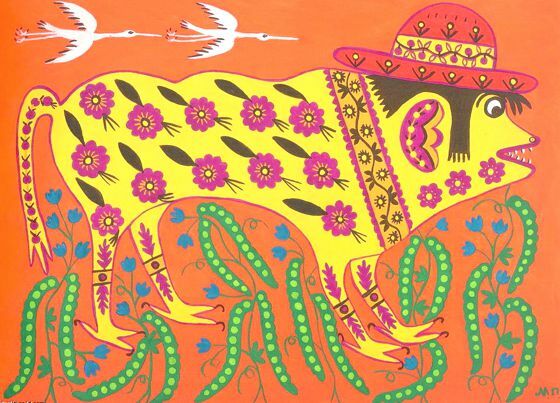 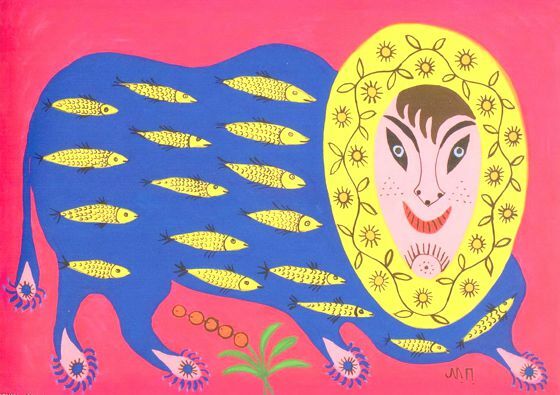 Maria Prymachenko (1908-1997) was an Ukrainian artist and painter, representative of Naive Art. 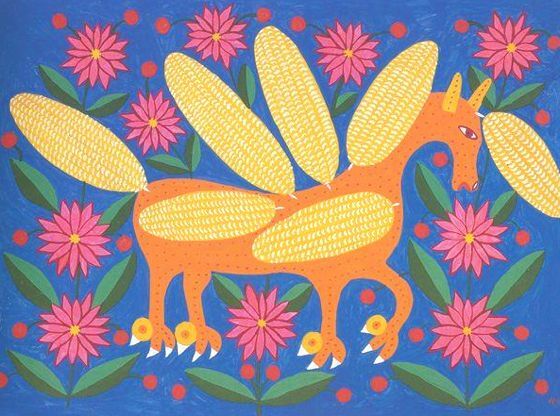 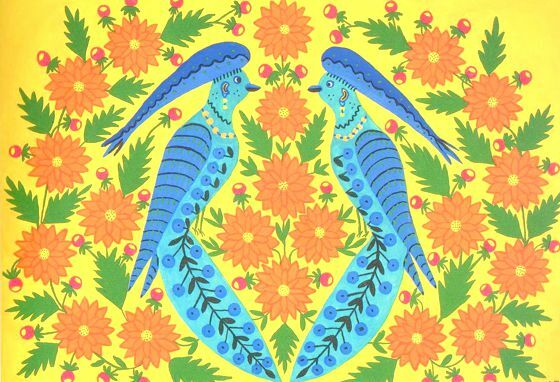 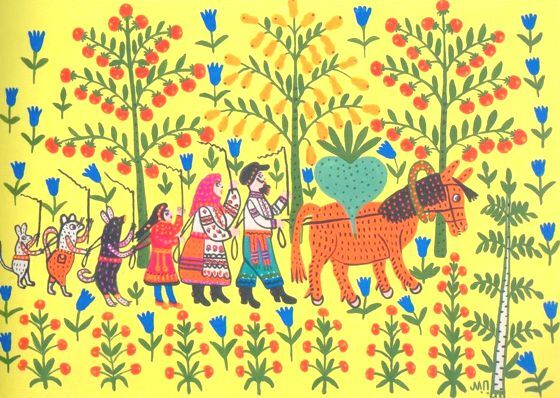 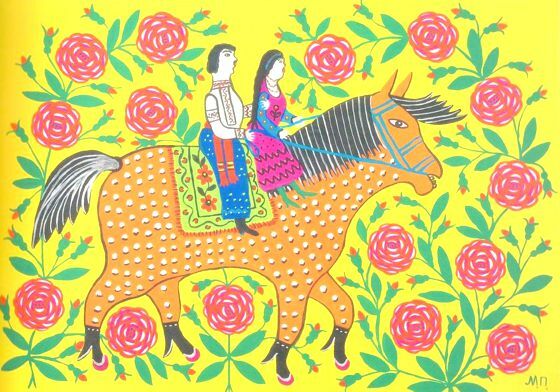 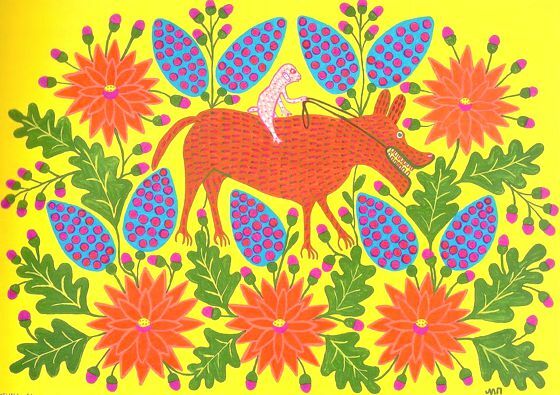 Her artistic production seems to absorb ancient traditions of many generations of Ukrainian craftsmen: great mythological beasts that have roots іn popular legends and fairy tales, appear mixed with real and cultural elements of Ukrainian folk. 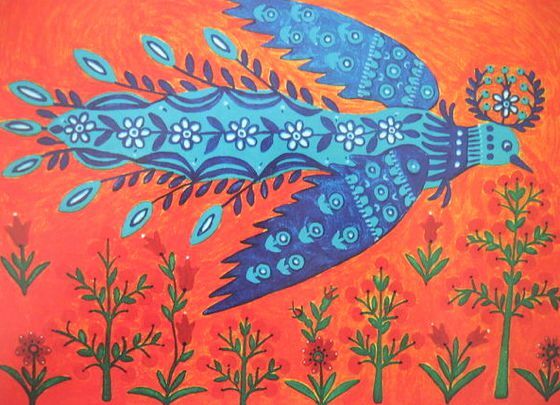 The works of Maria Prymachenko can be divided into thematic, symbolic and ornamental pieces. 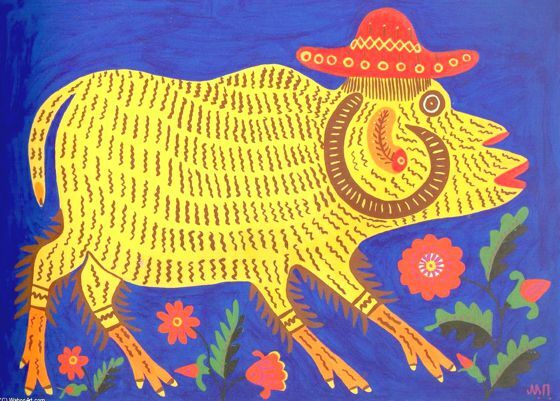 All compositions are characterized by a unique style, in which you can detect traces of constructivism and strongly decorative approach, with extraordinary composition and patterns.